Do you know what Fair Trade is? 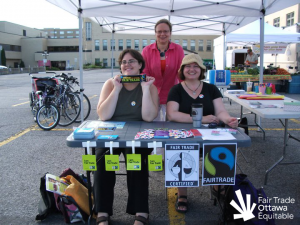 Would you like to see Ottawa become a Fair Trade Town? Come visit us at the Main Farmers’ Market at Saint Paul University this Saturday, August 20, from 9:00 a.m. to 2:00 p.m. We’ll be on hand to explain who we are and what we do. 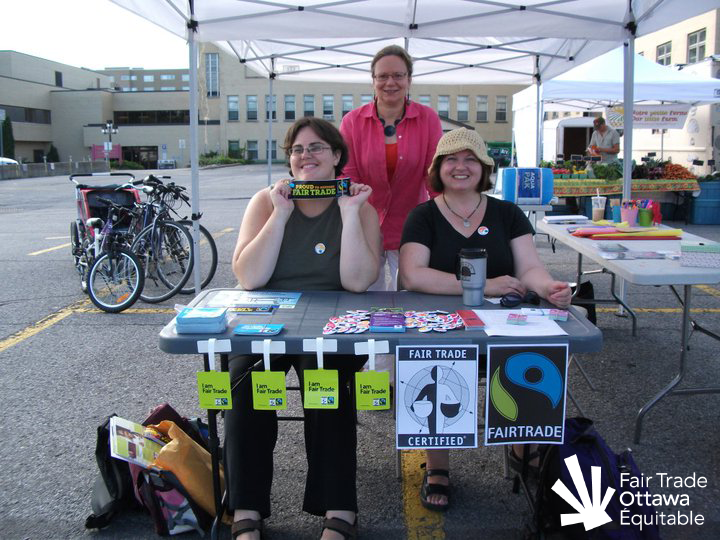 You can sign our petition to show your support for Fair Trade in Ottawa. And ask us about volunteer opportunities! See you there! Main Farmers’ Market on August 20, 2011. 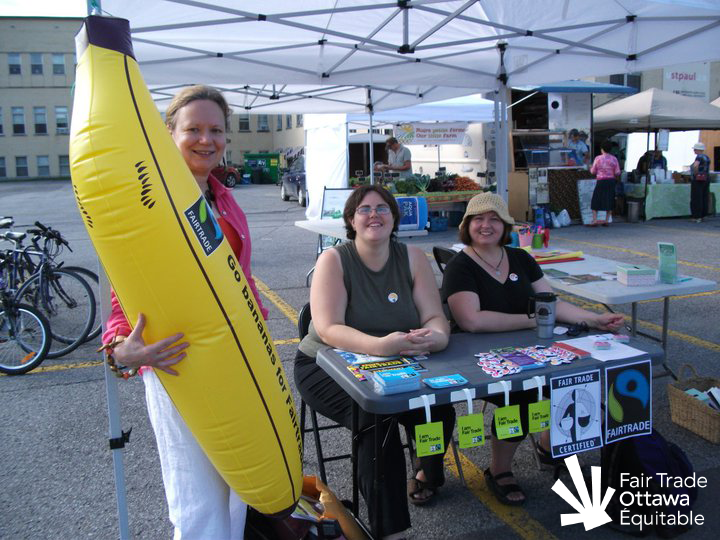 Volunteers (left to right) Lia, Susanna and Marlene smile for the camera. Main Farmers’ Market on August 20, 2011. Things are getting a little bananas!